For those who wish to enjoy a comfortable lifestyle in retirement, saving is important and while the total financial assets of U.S. federal government retirement funds in 2016 amounted to around 3.89 trillion U.S. dollars - up from 3.16 trillion in 2010. 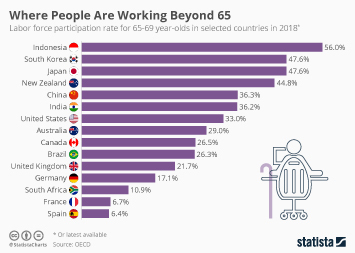 With a mounting deficit, financial troubles and public debt levels at over 70 percent of GDP, the pension system is in an acute state of crisis. Entitlement programs such as social security have been under attack in Congress from both sides of the isle. Curtailing spending on these entitlements is among the suggestions being made as a means of lowering the national deficit. It is also being suggested that those saving accrued by middle-class seniors will be nowhere near sufficient to support their current standards of living. The most popular type of retirement savings account was the 401(k) plan in 2018. This plan allows an employee to choose between receiving compensation in cash or a portion of it gets put into a 401(k) account. Choosing how to save for retirement can be tricky, which leads people to seek advice. A 2016 survey showed that the most popular source of information and advice was a professional financial advisor. Topic: Pensioners in the U.S.